The river is home to some of the cleanest water around. Fed by hundreds of springs that bubble up in the city’s centre, the river remains a constant 72 degrees, making it a year round destination for fun. 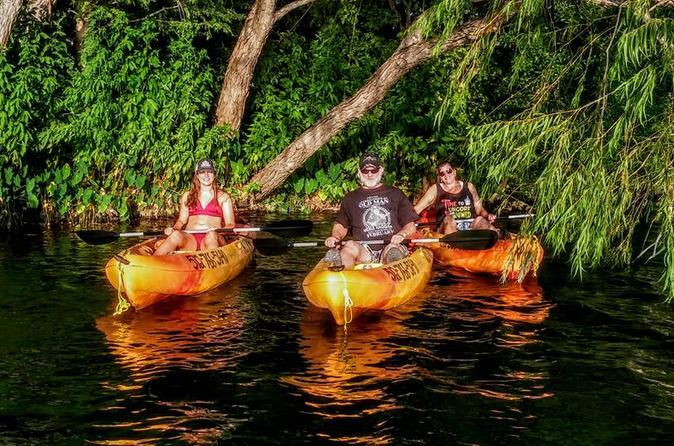 Your adventure starts 15 miles down river away from the hussle and bussle on a private stretch of the San Marcos. Here your guide will navigate you through this beautiful area as you experience hidden Texas at it’s best.